MicMac took the bronze in 2011, the silver in 2012 and, this year, the gold. “I didn’t even vote for myself!” says owner Mufit Halef. 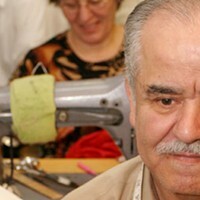 Thirty-one years ago, Halef left a partnership with his brother to start the Mic Mac Mall store, and now has a staff of eight tailors. 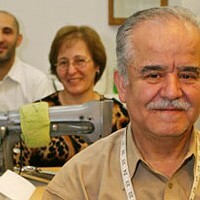 Halef says mall management has told him his store is the busiest mall tailor operation in Canada. We ask him if tailoring is a rewarding career. “It’s a hard one, but anything is rewarding if you work hard at it,” he replies.